Taste the incredible diversity of Sonoma Valley’s six distinctive appellations. At ICON: A Grand Terroir Tasting, thirty top winemakers, from the storied to the cutting-edge, will share wines that define the character of each region. It’s a unique way to explore a unique place, as the venue will lead you immerse yourself in each AVA. Ram’s Gate Executive Chef, Stacey Combs, will craft a dinner menu of locally-sourced and artfully prepared dishes designed to highlight these distinctive wines with perfectly paired ingredients. Each wine chosen for this exclusive evening event has been selected by our Sommelier Wine Panel for its significance and source. Featured winemakers and growers will be there, to share with you what makes their wine a worthy collector’s item for your cellar. Spend an evening tasting, dining, and discovering the next wines that you will add to your personal collection. The stunning Ram’s Gate Winery is a modern interpretation of the weathered farmsteads of old Carneros, a breathtaking setting to experience acclaimed wines from Sonoma’s marquee vineyard sites, including their highly coveted estate. Joe lives in Santa Rosa with his wife and daughter. In addition to spending time with his family, Joe spends his time enjoying Sonoma County’s great outdoors and pursuing his passion for gardening while also finishing his Executive Wine MBA degree from Sonoma State University. Tony Bugica represents the fourth generation of a farming family. Attending the University of Nevada, Reno, he studied biology. After college, he started Bugica Landscaping and Excavation. During his 10 years as President of Bugica Landscaping, he managed 120+ employees which included supervision of over 500 commercial and residential properties in the Reno-Tahoe area. Tony’s company was honored with many awards in recognition for its unique designs and beautiful landscapes, and as one of the top landscaping contractors in the Reno-Tahoe area. Upon arriving in Sonoma County, Tony started as Ranch Manager for Dry Creek Olive Company. He then went on to work with Grey Creek Vinicultural Services selling vines, Growing immensely from that amazing experience, Tony then joined Bacchus Vineyard Management, working alongside Glenn Alexander for seven years, managing over 1,000 acres across Sonoma County. Tony has been making wine since 1993, and since 2007 he has been able to bring to life his passions, continuing his family’s tradition of farming and an intimate familiarity with vineyards and the wines that come from them. He’s presently with us at Atlas Vineyard Management as our North Coast Regional Manager, managing vineyards in Napa, Sonoma and Mendocino Counties, doing what he has always dreamed of doing. Lisa Amaroli has been a vital part of the Benziger Winemaking team since 1999. She graduated from Sonoma State University and holds a bachelor’s degree in both biology and chemistry. Previously, she worked at Martini and Prati Winery as a Production Manager. Lisa is responsible for determining styles for Benziger wines through collaborative tastings and initiates implementation in wine processing. Raised on his family’s citrus ranch in Ventura County, Jeff graduated from Stanford University and earned his master’s degree in enology from the University of California at Davis. He served as winemaker during the 1970s at the iconic Mayacamas Vineyards, in the mountains that separate Napa and Sonoma. Jeff joined a group of partners, which included Mac McQuown, in 1980 to create Carmenet Vineyards (now Repris Wines) on the southwest side of the Mayacamas range. In the late 1990s, both Mac and Jeff planted small Cabernet Sauvignon home vineyards. In 2004 they co-founded Stone Edge Farm Estate Vineyards & Winery. Raised on a horse farm in Colorado, agriculture has always played an important part in Nate’s life. With one grandfather operating a cattle ranch in Montana and the other farming dairy and corn in Nebraska, it isn’t surprising that Nate developed a deep passion for the land, fantasizing about tractors and livestock the way his friends dreamed of fast cars and high tech gadgets. After graduating University of Colorado, Boulder, Nate put his rural dreams on hold in the name of a very urban finance career that led him to New York City and then to San Francisco. But the farming bug never left him. In fact, the further away he got from an agrarian life, the more he missed it. In 2004, while still toiling away at his city job, Nate spent a holiday weekend with friends in wine country, and decided to steal away to look at an available farm in Sonoma. Despite the fact that the property was both well beyond his budget and his time available to operate a working vineyard, it was love at first sight. The visit fueled an entire year of monthly drives to Sonoma Mountain Road, where he would park in front of the property’s mailbox and fantasize about becoming a wine grower. On one such pilgrimage to Sonoma in early summer 2005, the “For Sale” sign had been pulled, bringing his fantasy to an abrupt halt. After a few weeks of deep disappointment, Nate called the realtor to see if any similar properties were available, only to learn that the sale had fallen through. This time, he leapt at the opportunity to plant a flag on the site we now call Belden Barns. These days, when Nate’s not immersed in planning this year’s crops or next year’s harvest and bottling, he is most likely adventuring around the Bay Area with Lauren and their two small children, Olivia and Milo. Active volunteers, Nate and Lauren also focus their efforts on improving the lives of orphans near Arusha, Tanzania, and put a portion of wine sales towards this cause. Six generations of the Wood/Benward/Krause family have lived and worked on the Beltane Ranch over more than 70 years, and they are committed to protecting it for future generations. Producing award-winning wines as pioneer viticulturist John Drummond’s estate vineyard beginning in 1879, the property was later purchased by San Francisco Civil Rights hero Mary Ellen Pleasant in 1892. The property had fallen into complete disrepair following her death and our family acquired it in 1936 and slowly began restoring the Historic Landmark ranch house and replanting the property’s vineyards. 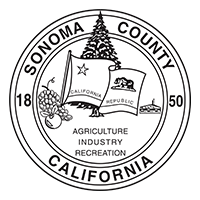 In 2002, the family reached an agreement with the Sonoma County Agricultural Preserve and Open Space District to transfer 1,300 acres to public ownership. Rosemary, her daughter Alexa, and grandchildren Alex Benward and Lauren Krause operate the ranch today, maintaining the historic inn and raising sustainably farmed produce, organic olive oil as well as critically acclaimed small production estate wines from the site of the original Drummond Vineyard. Pinot Noir disciples far and wide depend on Chris’ well-trained instincts in the vineyard. As steward of some of Sonoma and Russian River Valley’s most treasured grape growing acres, Chris deals with issues like pest and disease control and water conservation on a daily basis. Chris’ strength in the vineyards comes from an extensive background in both farming and agriculture, and an innate ability to draw from both philosophies as vineyard situations demand. Erich Bradley is a self-taught winemaker and vintner based in Sonoma, California. He spent three Harvests (2000-2002) working in the lab and cellar at Arrowood Vineyards & Winery for California wine icon, Richard Arrowood, before leaving in 2003 to become the winemaker for Audelssa Estate Winery in Glen Ellen where he received critical acclaim for producing an eclectic lineup of small-lot, Bordeaux and Rhône-inspired wines sourced from an extreme, hillside vineyard located on the southwestern-facing slope of Mount Veeder in the Moon Mountain District AVA. In 2011, Bradley left Audelssa to join private equity investor, Jim Momtazee, in founding Repris Wines after Momtazee acquired the historic Moon Mountain Vineyard, the original home of Chalone’s Carmenet Winery, from Diageo after the 2010 Harvest. Bradley currently oversees production of Repris in addition to Repris’ two sister labels, Pangloss Cellars and Texture Wines. Bradley has also received critical acclaim as the winemaker and co-founder of Sojourn Cellars in Sonoma, a project he launched in 2004 with business partner, Craig Haserot. Sojourn focuses primarily on artisanal Pinot Noir and Chardonnay from the Petaluma Gap, Russian River Valley and Sonoma Coast AVA’s in addition to Cabernet Sauvignon from Oakville, Rutherford and Sonoma Valley. Moving to a home in the middle of the vineyards when he was 10 years old, Cyril Chappellet’s course in life was influenced by the romance of the vineyards and the growth of Napa Valley’s wine industry. The eldest son of Molly & Donn Chappellet, Cyril was encouraged to make his own career choices and explore life away from the family winery. Megan Cline is part of the second generation of Jacuzzi Family Vineyards. Born and raised in Sonoma on the winery, Megan was surrounded by wine her entire life and developed an early passion which led her to Santa Barbara. Upon graduating from the University of California, Santa Barbara she stayed in the area, exploring and working the wine industry of the California Central Coast where she passed her Certified Sommelier course through the Court of Master Sommeliers. More recently, Megan has returned to her roots in Sonoma and can be found doing a little bit of everything at the winery–working in the vineyard and with winemaking during harvest, hosting winery events, and working in the marketing department. When she’s not working at the winery, Megan is out taking photos, enjoying the food and wine scene of Sonoma County, and traveling around the world visiting other wine regions. In Bruce Cohn’s college years he became immersed in the San Francisco music scene while studying broadcasting and communications. He ran a music rehearsal studio by day and served as a television engineer at night. It was around this time, in 1970, that he began managing music groups. He continued for the next 45 years managing legendary, Grammy-winning rock and roll artists. In 1974, to keep some sanity and preserve his family’s quality of life, Bruce purchased an old dairy in Glen Ellen. Driven to cultivate the existing vineyard, Bruce soon became intensely involved with all aspects of growing grapes, mentored by Charlie Wagner of Caymus. A decade after taking ownership of the land and having great success selling grapes to other wineries, Bruce founded B.R. Cohn Winery in 1984. For over 30 years he produced consistently high quality wines which garnered high acclaim. Solely sourced from the Trestle Glen Vineyards estate, his latest project strives for each small lot wine to uniquely express its own story. “We take a minimalistic winemaking approach to allow the nuances of the vintage’s land, grapes and weather to come through” says Cohn. Cabell Coursey’s obsession with winemaking began with a harvest in Burgundy while he was enjoying an undergraduate semester abroad. After finishing his B.S., Cabell spent a few vintages picking grapes and scrubbing floors in Burgundy, and then moved up to Oregon’s Willamette Valley. Following his time in Oregon, Cabell traveled to Christchurch, New Zealand, where earned degrees in Enology and Viticulture from Lincoln University where he focused on cool climate viticulture. Cabell’s approach to winemaking is to use his senses in conjunction with his knowledge in biology, chemistry, and farming. Coursey Graves is a collaboration between John Graves, a Minneapolis tech entrepreneur, and Cabell Coursey an established Sonoma County Winemaker. The relationship began when Graves acquired the Bennett Valley Winery where Cabell was making wine. Aligned with the belief that great wines aren’t dictated by specific zip codes. Coursey Graves’s mission is to grow transcendent fruit and make original wines from the lesser known mountainsides of Napa and Sonoma. A Northern California native, Winemaker Michael Cox grew up in Sonoma and spent time in both the Sonoma and Napa wine producing regions as a student. His local head start gave him an enviable background that most young winemakers find very difficult to achieve. Mike first attended the University of California at Los Angeles, studying chemical engineering and working in a wine cellar during the summer. It was then that his love for wine surfaced and took him down another road. In order to become a member of the wine industry, he transferred to the U.C. Davis campus and graduated with a degree in Enology in 1991. Mike also took advantage of coming home from school each summer to work at Sonoma area wineries, gaining good solid experience every step of the way. He worked his way up through the cellars of two prestigious wineries, Hacienda and Dry Creek Vineyards, during and after he finished school. His first full Winemaker position was at DeMoor Winery in 1992. Mike likes to work closely with growers and prefers small production vineyards that contribute unique qualities to his blends. The Carneros grapes Mike works with at Schug offer unrivaled wine-making opportunities due to their unique diversity and complex, well-developed flavor characteristics. In the cellar, his focus is on staying abreast of current winemaking developments. He favors progressive use of the newer technologies available to winemakers today, such as the Voll Tauchers, hydraulic punch-down fermenters that automate the process of gently punching down the cap during fermentation. Mike also has the impressive ability to manage the hundreds of separate lots stored in the cellars before blending, including the judicious adaptation of specific barrel coopers to specific vineyard lots, in order to emphasize the terroir. As Winemaker, an important member of the Schug family team, Mike works closely with Sales & Marketing Director Axel Schug. Together their winemaking talents create the premium Carneros and Sonoma wines with the European flair that Schug is famous for. Squire may look like a Vintner, Winemaker and Vineyard Manager, but he also holds the possible distinction of being the only actor in history to have never drawn unemployment benefits. He graduated from University of Pacific and holds a Master’s Degree in Acting/Directing from Occidental College. If Squire’s face looks vaguely familiar, it’s because he was one of the most successful actors ever in television commercials. Since 1970, he performed as principal on-camera talent in over 3,400 television commercials and about twice that many television and radio voice-overs. No matter where you might be living in the USofA, he was most likely in your living room more than once trying to sell you something. He was the on-camera spokesman for Toyota (1978-2012) and from 1984 until 1991 you might have spotted him on TV wearing a funny yellow and red outfit chasing “The Hamburglar” around McDonaldland! Squire began his professional acting career on stage in Southern California with South Coast Repertory in 1968 and was one of the last “Contract Players” at Universal Studios. He has starred in twelve television pilots (mostly short lived), five big screen features (mostly unmemorable films), and starred/guest-starred in a whole bunch of TV shows over the years. He has been on the cover of TV GUIDE, was once “#1 Across” in the crossword puzzle of Daily Variety, and was photo-featured in NEWSWEEK MAGAZINE. Squire is also the author of four published plays, a screenplay (that was almost made into a movie) and wrote the definitive commercial acting text, ACTING IN TELEVISION COMMERCIALS FOR FUN AND PROFIT, now in its Fourth Edition, Harmony books. Go to Amazon and get a copy! If you’re a Clan Member, Squire would be glad to sign your copy next time you drop by to pick up your wine at GlenLyon! Suzy McDermaid was born in Long Beach, California and grew up in Whittier. She holds a BA in Dance from UCLA where she taught, choreographed and performed with the UCLA Dance Company for three years. In 1969 she moved to New York City to study dance with Alwin Nikolais and Murray Louis and three months later, packed her bags to leave for her first European tour with the Nikolais Dance Theatre Company. She stayed with Nik for nine years, performing in twelve foreign tours and over forty US tours. Suzy married Squire Fridell in 1977 and the newlyweds settled on a bi-coastal life. After a couple of years of frequent flying from NYC to LA and LA to NYC, they decided to give up Suzy’s cherished (rent-controlled) loft in Manhattan and take up “permanent” residence in their new home in Sunset Beach, California. After Suzy “retired” from the world of professional modern dance, she and Squire became proud parents of their daughter, Alexandra McDermaid Fridell, in 1982. In 1986, Suzy and Squire decided that Sonoma Valley might be a wonderful place to raise their three-year old daughter. Since their move to Glen Ellen, Suzy spent a zillion hours campaigning for school bonds, fund raising for schools, and volunteered for the schools and a myriad of community events. She and Squire were responsible for the construction of both an outdoor and an indoor theatre for two public schools in our Valley and they produced, choreographed, and directed plays in each for years. Suzy and Squire were both recognized and awarded “Volunteers of the Year in Education” for all of Sonoma County and when Suzy’s not at GlenLyon, you could find her somewhere in the middle of a gaggle of fellow vintner gals, choreographing and performing “Magnum Force” at each year’s annual Sonoma Valley Vintners and Growers Wine Auction. Suzy and Squire were honored to be co-chairs of the Auction a few years back. Brian worked in, and later managed, several wine stores where he learned about fine wine through the captivating stories of the various purveyors. Brian spent five years in retail before moving into distribution, and it was during his time in distribution that he was approached by a friend named Francois who offered him a place to stay and a job at his Chateau in Bordeaux. His mind set on learning all he could on growing grapes and making extraordinary wine, Brian sold everything he owned and purchased a one-way plane ticket to France. Having a thirst for knowledge, and while still living in France, Brian went on to attend the Wine and Spirits Educational Trust (WSET) in London. My career in the wine industry began as a summer job. During that first harvest, my job was to deliver five tons of grapes at a time, down the mountain, in a one-ton truck. It was from that experience that I knew I wanted to be a winemaker. I began my professional career with Kenwood Vineyards in 1986, where we specialized in vineyard-designated Zinfandels and Cabernets grown in Sonoma Valley. In 1998, I left my position as Cellarmaster for Kenwood and joined the wine-making team at Benziger Family Winery, just down the road in Glen Ellen. My focus was the production of wines for the Benziger Family Ranch including Tribute, Imagery Estate and Benziger vineyard designates, and in particular the Zinfandel wines for Benziger and Imagery Estate. It was at Benziger that I was introduced to biodynamics and organic farming. At the time, both practices were new to the industry and we developed winemaking methods to go along with the farming practices. I loved the idea of bringing cutting-edge techniques to age-old winemaking processes. With a passion for creating small-lot, distinctive wines, I was thrilled to join the Lasseter Family Vineyards in 2007 and to have the opportunity to create premium vintages of Rhone and Bordeaux-inspired blends from organically-grown grapes. It was also in 2007 that our son, Dane was born, becoming the inspiration and namesake for the opening of Dane Cellars, that same year. Idell Family Vineyards, founded in 2005 by Richard Idell and Susan Kornblatt Idell, is well-known for producing Sonoma Valley premium grapes and wines. The vineyards are located within both Sonoma Valley and Sonoma Coast AVA’s. Idell Family Vineyards has partnered with viticulturist and vintner Steve Matthiasson of Napa to develop an ultra-premium Chardonnay vineyard, the Michael Mara Vineyard®. In addition to producing our own Chardonnay wine, from the Michael Mara Vineyard, grapes from this world class vineyard are currently sold to Kesner Wines, Scholium Project, Broc Cellars and Iconic Wines as well as Matthiasson Family Wines. These producers are all small premium wineries making hand-crafted wine. Six producers produce Chardonnay with a vineyard designate. The soil of this vineyard is similar to the rocky lower sections of the Durell Vineyard, which is, as the crow flies, a mile or so away. From the planting of the first vines, Steve Matthiasson, our partner along with his wife Jill, has continued to oversee vineyard operations for the Chardonnay Vineyard and additional red-wine plantings for our Oscar® line of red wines, Syrah and our traditional dry-farmed field blend of Zinfandel, Petite Sirah, Carignane, Mourvedre and Grenache, all harvested and co-fermented as our Oscar® Mixed Blacks. My father arrived in the United States as a refugee from the Hungarian revolution. His story of survival and freedom taught me early to never let anything stand in the way of my pursuits and to live with depth and conviction. Financing my college education I worked in fine wine shops and restaurants, and when I saved enough I backpacked around the globe with my twin brother, John. Each experience further fueled my passion for wine and my visits to Burgundy were life-altering. The pursuit of Burgundian style wines brought me to Oregon’s Willamette Valley where I first started making Pinot Noir. After a few years in Willamette, followed by several in New Zealand, I eventually joined the esteemed wine team at The Donum Estate in Sonoma and began Auteur. As a winemaker I extract all of what each grape gives me and begin to build a wine of character and complexity. Happiness for me is harnessing fear and understanding its delicate balance within me. Wine can be celebratory, but also have moments of solitude. I am very grateful knowing that I can bring pleasure and peace to family, friends, and to those I may never meet. BEYOND AUTEUR Kenneth’s consulting clients include: The Donum Estate in Carneros (Wine Spectator Top 100 of 2013), Dunstan Wines (Durell Estate Vineyard), Pali Wines (Wine Spectator’s Top 100 Wines of 2014) and newcomers, Blue Farm and Attune. He has also worked with Gary Farrell Winery and Semper. As Founder and Head Winemaker at Kivelstadt Cellars, Jordan seeks to create wines that stand out. His passion for food and wine permeates everything he does. By day he is the Founder and CEO of Free Flow Wines, a wine on tap company focused on improving the quality and sustainability of the wine we drink in restaurants. He initially cut his teeth in wine working harvests in California, Argentina, Chile and Australia. Kivelstadt Cellars is Jordan’s creative outlet and brings balance to his daily responsibilities at Free Flow. He pours all of those experiences into innovating in the wine industry and crafting unique and delicious wines vintage after vintage. Danielle began her journey in the world of wine working at Kamen Estate and Cakebread Cellars. She then expanded her understanding of winemaking by working in the vineyards, under the direction of Phil Coturri, and often on the Lasseter Family Winery Estate. Most recently she worked with Mark Herold Wines. She’s a superb rising Winemaker, and with Tony’s advice and counsel, will lead Lasseter deep into the 21st century. Chris Louton brings cutting edge knowledge and finely honed hands-on experience to his role as Winemaker. He joined St. Francis in 2013 after nearly seven years as part of the winemaking team at Napa’s Beringer Vineyards, where he focused on the luxury tier of wines and helped craft award-winning Cabernet Sauvignons and other Bordeaux varietals. Making world-class wines wasn’t the career Chris originally planned for himself. He was studying biology at UC Davis with every intention of becoming a veterinarian when he took a winemaking class his senior year. That class hooked him, and instead of applying to vet school after graduation, he went back to UC Davis to study enology and took a job as a harvest intern at Schramsberg Vineyards in Calistoga. He stayed at Schramsberg for four years, working as an enologist after graduation and later as Assistant Winemaker. A key member of St. Francis Winery’s production and winemaking team since 2002, Katie Madigan became a St. Francis Winemaker in 2011. Two years later, Katie became a full-time lab tech at St. Francis and began studying Enology & Viticulture at UC Davis. Promoted to Assistant Winemaker in 2006, she focused on Chardonnay production and championed night picking of all Chardonnay fruit to preserve flavors, aromas, and acid levels. As a St. Francis Winemaker, Katie continues St. Francis’ long tradition of creating high quality wines from Sonoma County grapes. She oversees production of St. Francis Winery’s top selling Zinfandels, Pinot Noirs and Chardonnays as well as many of our other popular white wines. In 2015, Katie was awarded “Best Woman Winemaker” by the International Women’s Wine Competition. She also won Zinfandel Producer of the Year in 2014 and 2015 at the California Zinfandel Championship. Korbin graduated from Boston University with a BS in Hospitality Administration and is now a Masters candidate at UC Davis for Viticulture & Enology. He originally took a couple of wine courses at BU as a way to bond with his father, but soon realized that it was his true passion. He joined the Korbin Kameron team the summer after he graduated and has been growing the company since. He wears a lot of hats, doing everything from working in the vineyard and cellar, national and international sales. In 2012 he promoted himself to General Manager and now bosses his father around. A native of Oberwesel, Germany, Anne Moller-Racke came to California in 1981 and became vineyard manager for Buena Vista Carneros Winery in 1983. She was named director of vineyard operations in 1988 and was promoted to vice president of vineyard operations in 1997. During that time, Anne worked intensively with some of the industry’s foremost authorities, including Andre Tchelistcheff, Dr. Phil Freese and Dr. Paul Skinner. She helped establish what is now the Carneros Wine Alliance and brought recognition to Carneros as an American Viticultural Area (AVA). Anne was instrumental in developing Buena Vistas Carneros Estate, including today’s Donum Ranch. Today, Anne farms 76 acres of vines at the home ranch in Carneros, the Winside Vineyard, a 16-acre Russian River Valley estate she planted in the mid-1990s, and oversees the vineyard operations at Angel Camp in Anderson Valley. As caretaker of vineyards she has farmed for decades, Anne brings a vast knowledge of the appellations and sites to her role as wine grower for The Donum Estate. As president, Anne’s management style inspires a committed team to work with the utmost pride and care on its ultimate Pinot Noir project. In 2009, Noël and I started to visit Napa Valley as often as we could. Visiting wineries, tasting wines, and enjoying the culture of the Valley, we appreciated the area so much that in 2011 we became members of the Napa community. After immersing ourselves in the wine culture and discussing the different paths we could choose to be involved in this life-style, our passion for wine led the way; we wanted to make a wine that we would be proud to call our own. The decision was made and our journey began, in 2013 we started to make our dream a reality. I spent my early summers at my Grandparents’ farms and apple orchards in the Okanagan Valley in the State of Washington. Every summer, my responsibilities grew in the orchards, from changing the water lines to thinning apples and finally the harvest. It was a different time then, where families were expected to be a part of the operation to insure a successful harvest. It’s been 45 years since I left the farm, but it never left me. In early 1972, my family moved to the Almaden Valley, from our house we could see the Almaden Vineyards on Blossom Hill Road. Each day I would take a shortcut through the vineyards on my way to school, watching the vines do their magic. This early exposure to the wine culture has had the same impact on me as my earlier experience in the apple orchards. I watched as the orchards and vineyards gave way to homes and shopping centers. It was disappointing to me, losing the farms and orchards. Well, Napa has given it all back to me, I’m home. Noël’s early life was spent in Colorado, where she spent time with her brothers enjoying all that the Rockies make available. Being exposed to such a strikingly beautiful wilderness had its impact on Noël. Being free to roam has been her way, she has raised our children to be the same, free spirits. A couple of years ago I left a thirty-year career in the corporate world. Noël and I needed the change, to become “simple” again. We want our children and grandchildren to have the opportunity to experience the life we did growing up, together, to strive for the dream of a family owned and operated label that provides the love and care to make fine wines. We are Troika Wines. From vineyard to glass, our winemaker Margo Van Staaveren takes a hands on approach, working closely with her winemaking team to oversee each step of the winemaking process. She celebrated her 35th harvest at Chateau St. Jean in 2014, and her attention to detail ensures that the signature of the vineyard is captured in every bottle. Like the founders of Chateau St. Jean, Margo firmly believes that great wines are grown – not made. Vineyard designated wines have been the foundation of our portfolio since the early 1970s, and Margo has been instrumental in ensuring the vineyards selected for these wines consistently product exceptional varietal character. She has also guided the icon Cing Cépages bottling since its first release in 1990. The art of blending is the cornerstone of Margo’s winemaking philosophy. To her, it is a great accomplishment to create a signature wine style or blend that can achieve consistency from vintage to vintage while still capturing the unique personality of a particular growing year. One of the things she enjoys most about her job is putting together the final blend for the Reserve wines. These blends represent the most concentrated, distinctive and balanced wines made at Chateau St. Jean. Luca Zanin was born in Flushing New York in 1970. Following college, he joined his father to start a career in the food ingredient business by forming their own company, ATP. As a key supplier of ingredients to the wine industry, it was at ATP that Luca’s passion for wine started to emerge. Following his father’s lead, he soon started to seek his own vineyard property in the Bennett Valley. After much evaluation, he purchased his estate that he renamed “Simpatico Ranch”, the producer of Bennett Valley’s first limited release and award winning 2010 Chardonnay. Today, Luca and his wife Elizabeth live with their three children, Giovanni, Francesca, and Matteo on “Simpatico Ranch”. They spend a great deal of their time working and playing in the vineyards, showing their children good stewardship of their land in the hopes that the next generation will carry on with their deep rooted relationship for growing grapes and making fine wines. After eight years managing restaurants including three years at San Francisco-based Morton’s Steakhouse, Jeff Zappelli joined HALL Wines in 2006, helping define one of the most successful Direct to Consumer industry efforts in the Napa Valley. In 2012, with the 2010 vintage, Craig and Kathryn Walt Hall unveiled a long sought-after project –a Pinot Noir and Chardonnay label under WALT which expanded Zappelli’s role to both HALL and WALT brands. In 2016, Zappelli was appointed General Manager of WALT, making him responsible for the day-to-day operations and strategic planning for the Sonoma-based brand. Zappelli is an active speaker throughout the Bay Area, participating in conversations and panels related to direct-to-consumer trends, wine industry technology, sales as a science, CRM and direct marketing campaign strategies. Born in Seattle, WA, he attended the University of California Santa Barbara and earned a Bachelor’s of Science in Biopsychology. He currently resides in Marin County with his wife, Veronika, and their three children. A native of Chicago, John headed west to Stanford University for college, where he earned a degree in economics. While at Stanford, John and his Kappa Sigma fraternity brothers decided one year to extend the annual “Big Game Weekend” between Stanford and Cal, and headed north to Napa Valley for a fraternity party at the iconic El Bonita Motel in St. Helena. With the sun setting over the Mayacamas Mountains, John offered a toast with a memorable glass of Charles Krug Vin Rosé — and his journey to the world of wine officially began. Zeke Neeley, grew up in California but not the California people think of when they hear “California”. The town of Daly City, south of San Francisco, has a climate more resembling foggy London which was why it was always such a joy for him to visit his grandparents in a sunny paradise called the Sonoma Valley. That soft-spot for Sonoma wine country hung with him throughout his college years studying Biochemistry and later while living in San Francisco and working in the Biotech industry on cancer research. Eventually, after finding that he and his wife spent every vacation visiting wine country, it dawned on Zeke what he wanted to do — become a winemaker! After returning to UC Davis for a M.S. in Viticulture and Enology, Zeke worked at wineries in Santa Cruz, Carneros, and Napa—the last 10 years as a winemaker in Napa—and finally found his way to Kenwood. All those years after burning his pale, Daly City skin in the Sonoma sun he has made it full circle and found a roundabout way to a childhood dream. When not orchestrating the cellar, Zeke likes to spend his time with his wife and two children, watching baseball, and going for the occasional run. Scott Rich, founder of Talisman Cellars, had his first exposure to winemaking at age 6 in the home of Greek friends who made wine in their Salt Lake City basement each year. He attended graduate school in the enology program at U.C. Davis and has worked as a research enologist for both RH Phillips and Robert Mondavi. He has been winemaker at Mont St. John, Carneros Creek, and Etude, where he made highly-acclaimed Pinot Noir and Cabernet. Currently, Scott’s time and energy are spent as winemaker/owner of Talisman, as well as winemaker for Moraga Vineyards in Bel Air, California. Moraga produces sought-after Cabernet Sauvignon and Sauvignon Blanc. Marta Rich actually has no memory of life without wine. Her father made wine in their Minnesota basement, using virtually any form of grapes or juice he could get. Yearning for warmer climes and more interesting terrain, Marta fled for the University of Colorado at Boulder, where she earned her degree in Psychology. After taking up residence in Napa Valley, Marta began an 18-year stint at Robert Mondavi. She worked her way up the ladder, first scheduling grapes during harvest and eventually running Robert Mondavi’s Northern California sales team. She was well-prepared for both of her current jobs, Director of Sales for Calera Wine Company, one of California’s Pinot Noir pioneers, and Director of Sales & Marketing for Talisman Wines. Together, they happily zip around in their travels, spreading the gospel of wine to anyone who will listen. Quality, artistry, and promoting pleasure are their key objectives. In their spare time, they ski and play in the outdoors. I grew up on my family’s farm/vineyard in Sonoma County, then went on to pursue a double BA in Theater and French from UCLA. During my time at UCLA, I developed a deeper love and appreciation of wine. I spent a summer in Burgundy studying winemaking and took night classes at UCLA Extension to get a business certificate in wine marketing and management. After graduating in 2013, I delved deeper into the wine world and began working as a sommelier at the restaurant Republique shortly after it opened. After working a harvest in New Zealand, I recently returned to the family farm in Sonoma and have begun making my own wine and cider. We are sustainably certified and grow Pinot Noir and Pinot Meunier atop Sonoma Mountain, for a number of different wineries. Our site has a long spiritual history spanning all the way back to native stories of creation. We do all of the farming ourselves, by hand, fostering a deep connection with the land and soil that we cultivate. Brenae Royal grew up in the town of Atwater, in California’s Central Valley. “I come from a family of teachers and doctors, so when I started raising pigs, my family thought, where did she fall off?” Brenae says, laughing. When asked about her first farming memories, she recalls picking weeds and planting flowers with her grandmother. “My grandmother has a ginormous garden.” As the Vineyard Manager for the 575-acre Monte Rosso Vineyard on the eastern hills of Sonoma Valley, one the most acclaimed winegrowing sites in California, Brenae might have her grandmother beat. Brenae put her passion to action at a young age, joining 4-H at 12 and becoming an officer in the Future Farmers of America when she was 17. The program took her all over California and immersed her in a world she knew she wanted to be a part of for the rest of her life. Brenae studied Crops and Horticulture Science at California State University, Chico and during her senior year, after developing a palate for bold red wines, decided to pursue a career in viticulture. She joined E. & J. Gallo Winery in 2013 as an Operations and Viticulture Intern and quickly established a relationship with an important mentor, winemaker Deborah Juergenson. “Deb started out as one of the first few women winemakers in a very male-dominated field. It’s been amazing to have her as a mentor, both professionally and personally,” Brenae says. “Viticulture is still very male-dominated, so to drive more inclusion and diversity is very much an uphill battle.” It’s a battle that Brenae has done anything but back down from. Since joining Gallo, Brenae has farmed Monte Rosso Vineyard with increasing levels of responsibility. In addition to her internship, Brenae also served as Viticulture Technician for 11 months before being named Vineyard Manager in 2015.